What are the benefits of the MAPI Protocol? The MAPI protocol is exactly like the IMAP protocol, but with additional options to sync and view all of your folders – sub folders, custom folders, calendar and stored contacts on different devices and / or computers. To be able to achieve this synchronization, all devices must be using MAPI. 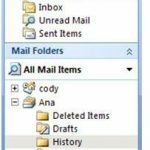 After MAPI is installed, your folders, contacts, messages and calendar information are stored on your email server, instead of your local machine (computer). Microsoft Outlook provides an option to download a copy of this info to your local computer, but is also allows you to view messages without downloading as well. If you do choose to download copies, this means your folders, contacts and calendar information are also available offline, (when you are not connected to an Internet service provider. A MAPI account can also be accessed from any physical location through webmail service. MAPI continuously connects to the server when you write a new email and when you are reading an email. This means accessing a MAPI account can take a little longer, because your email client needs to contact the mail server. MAPI also allows you to look at basic information like subject line, name, and attachment size before downloading an email message. Calendars and Contacts can be viewed from any computer as long as it is using the MAPI protocol, or you are logging in through webmail. If your computer crashes, all of your account information will not be lost with MAPI. MAPI continuously stores each email on your email server, until you delete it permanently. 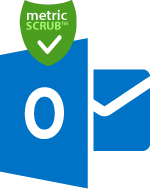 To delete a message permanently you must empty your local computer’s trash, rather than just moving an email message to the trash. As MAPI continuously syncs emails and email account information to your server, this may cause your email account to run out of space faster. Speak to your email provider about increasing the alloted size of your account, as it is needed. Back up copies of your full email account are created automatically. What is the MAPI protocol compliant with? 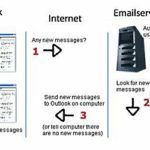 You can configure Microsoft Outlook using POP3, IMAP or HTTP, but only the MAPI protocol provides full synchronization of all your important information. The other protocols only provide support for email services. 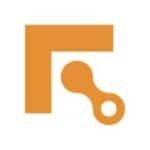 The Fastmetrics MAPI connector gives you full access to our Microsoft Outlook collaboration services; email, calendars, contacts and address lists. 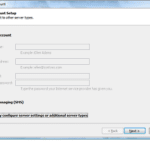 Click on this link to download and setup Outlook MAPI. MAPI keeps your inbox folders synchronized with our collaboration server. Once MAPI is installed, a full synchronization with our server will be performed. This process can take up to several hours, depending on how many emails are currently in your inbox. During MAPI synchronization there is no indication that MAPI is working and Microsoft Outlook will display “Not Responding” in the title bar. However, you can still access your email using our Enterprise Webmail service during this time. After the initial synchronization, MAPI will only sync when a user deletes, modifies or rearranges any of their inbox folders. If you are going to delete, modify or rearrange your folders, we recommend that you do this at the end of your work day. This will give MAPI a chance to synchronize with our collaboration server while you are away from, and not needing your computer. To see if MAPI activity is occurring, check your network performance using Task Manager. > Press the Ctrl + Alt + Delete keys at the same time. > Check the Processes Tab or Networking Tab. Outlook may be in a “Not Responding” state for up to 2 hours while MAPI is caching all your email. 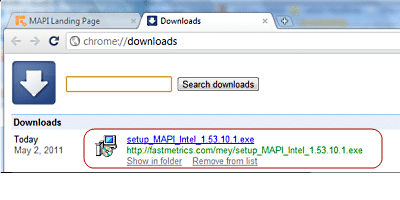 Click on this link to immediately download the MAPI installer to your computer. Then scroll down to the single step required to run the MAPI installer from the Firefox, Internet Explorer or Chrome browsers. The idea is the same for all other browsers. We want to download and then run the MAPI installer. Note: for the Windows OS, you may need a WinZip program installed, (if you don’t have one already), to open the file and then to then run the .exe file. When the download completes, open the downloads window by selecting Downloads from the Tools menu, or press Ctrl-J. Double-click in the item for the MAPI installer. When the download completes, open the downloads window by selecting Downloads from the menu with the 3 black bars in the top right corner of your browser, or press Ctrl-J. Double click on the item for the MAPI installer. 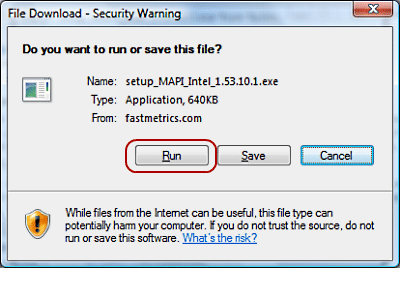 When the dialog appears asking you whether you want to Run or Save the file, click on the Run button. 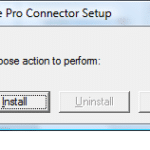 If you have never installed the MAPI connector before, when this dialog appears, click the Install button. If you have a previous version of MAPI installed, when this dialog appears, click the Upgrade button. After MAPI Installation has completed, when this dialog appears, click the No button. Now you can configure settings for Outlook with the MAPI connector. The instructions are very similar for all version of Outlook – the only difference is how to access the configuration dialog. We support the MAPI protocol for Microsoft Outlook 2007 and 2010, for both 32 bit and 64 bit versions. For Fastmetrics customers, MAPI access is provided for all Enterprise Webmail accounts.